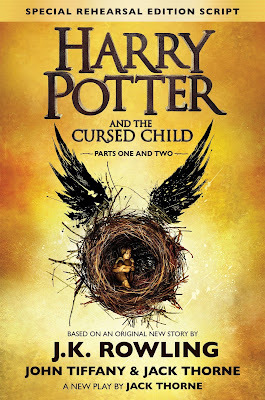 Based on an original new story by J.K. Rowling, John Tiffany and Jack Thorne, Harry Potter and the Cursed Child is a new play by Jack Thorne. 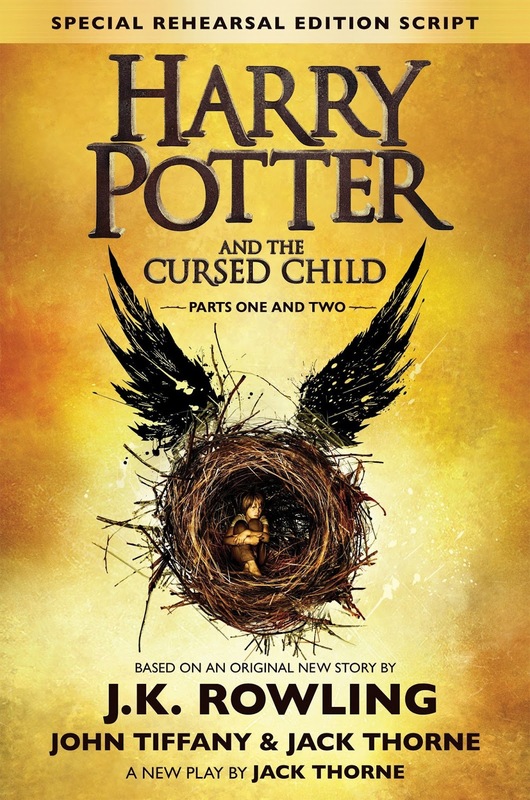 It is the eighth Harry Potter story and the first to be officially presented on stage. This Special Rehearsal Edition of the script brings the continued journey of Harry Potter and his friends and family to readers everywhere, immediately following the play's world premiere in London's West End on 30 July 2016. I recently had the pleasure of watching Harry Potter and the Cursed Child on stage, my review of which you can see here. When I saw the play, the script hadn't been released, so the only people with opinions on it were those who had been part of the wonderful experience at Palace Theatre. Now the script has been released and everyone's reading it, meaning opinions have become much more varied, and some might even say controversial. It's a performance that demands to be seen more than once and I think its inaccessibility does it a disservice, which is why I think the release of the script is a great idea. However, I have seen so many complaints about this script: it's boring, half-formed, it doesn't make sense, it's not the same as the rest of the series. And... I know I speak from a place of privilege in that I live fairly close to London so I was able to see the play with no problem, unlike the millions of fans spread out across the globe, but this script is intended to be seen performed on stage. It's not a book. If you go into it expecting the same level of detail and world-building the series provided, you're going to be disappointed. A script can't give you the awe-inspiring experience of dementors flying over your head, or the pyrotechnics, or the actors whizzing around on wires, high up above the stage. You can't see the beautiful set, nor can you hear the amazingly talented actors whose job it is to bring the characters to life. And you shouldn't expect this. Scripts aren't intended to give you a full experience and, even when released to the public, they're never meant to just be read. The script is simply a foundation which the play builds upon for five whole hours. I know not everyone is able to go and see the play, but if you can, I highly recommend you do so. Ultimately, it's a two-part play and a two-part experience: you need to read it and see it to get the most out of it - and the play is phenomenal. Insane. Seriously. Having seen the play, I might be a little biased, but I think it's a genius script made even better when performed. It's emotional, surprisingly funny, and a gorgeous addition to my shelves. But this isn't the eighth book, rather it's the eighth story, and if you go into this expecting the whole theatre experience, you're going to be very disappointed. Me? I loved it. Harry Potter and the Cursed Child is everything I didn't realise I wanted from the final piece of the Potter universe.